Myself and my partner, Stephen Bishop, are the owners behind the shop. Stephen (also known by his studio alias of HelloDaylight) is a graphic designer by trade and a screenprinter by passion, so his contribution to our shop’s aesthetic has been huge. I have a varied background, with my most recent work being the Director of Operations for the Halifax based multidisciplinary design firm Breakhouse. So I handle most of the day-to-day parts of the business but I am also what I call a secret maker – I love using my hands but don’t make anything with commercial appeal. We decided to open the store because we both love anything made by hand and we really wanted to share this love with customers who may not realize that there is an alternative to mass-produced goods available to them. We decided to locate in Lunenburg because we both appreciate the slower pace of life that a more rural setting can provide (and we have 3 pet hens who aren’t allowed in Halifax city limits!). 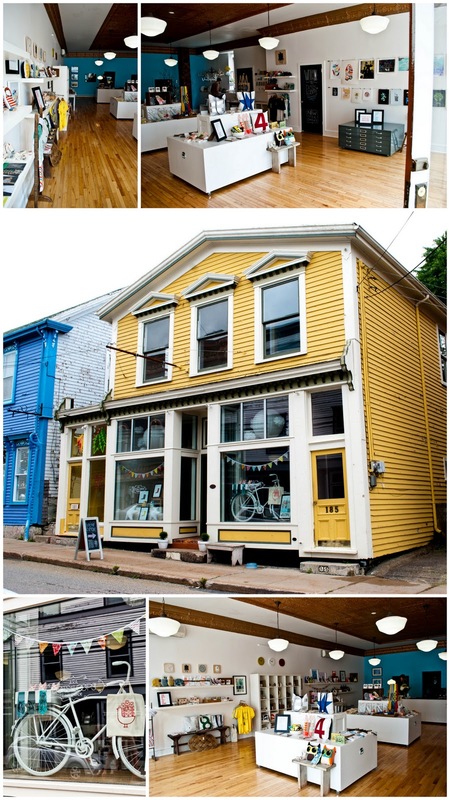 It’s been interesting so far, and we’ve had a great response from both locals and visitors to Lunenburg alike. We really see this small town as being in the midst of a revival of sorts and we’re really excited to be at the forefront. Stephen, through HelloDaylight, starting selling his screenprints through Crafters a few shows ago and I got to help out a couple of times. I’d been to Crafters many times before and always loved to see all of the beautiful work made by so many people. We also loved the feel of the Market itself and could see the work that goes into it. The Crafters Market is, in our opinion, the best thing of its kind in the Maritimes. We realize that the number one way to support makers is to buy their work but, now that we own a store that helps do this as well, we also know that another way to help is to support the venues that give crafters an outlet to get their work out there. We know that the Halifax Crafters Society is run by volunteers, who are themselves crafters, so we know that there are likely many things the Society would love to do but don’t have the time or funds to see happen. We hope that by sponsoring Crafters, more and more businesses will jump onboard and help out and that Crafters will continue to grow and improve for many years to come. Thanks so much Melanie! We're so excited for you and Stephen and want to congratulate you on opening your (and our newest) dream shop! 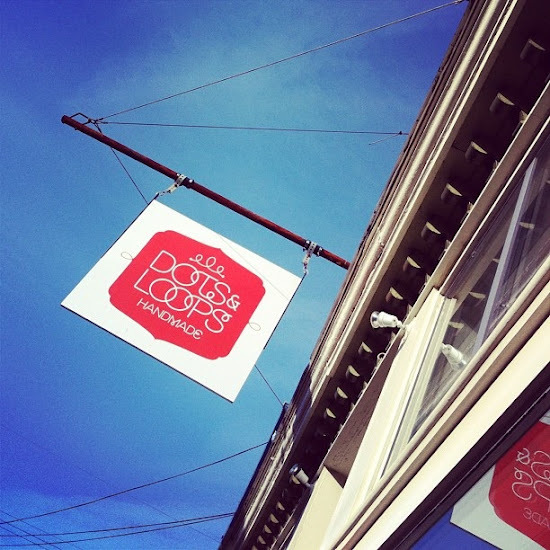 If any readers out there haven't been in to Dots and Loops yet its more than worth the scenic drive.....though when did any one need an excuse to day trip to Lunenburg? You can also follow Melanie and Stephen in their endeavor on the shop's Twitter and Facebook pages. Well, I like the concept of dots and loops. I think your are doing appreciating job. Best thing is that it is man made. Thanks for sharing! I am inspired by the dot and Loops ideas. The place is looking so nice. I can know the name of place. Good ideas about dots and loops. Quiet inspiring task that is done by you. Man made things is always good.